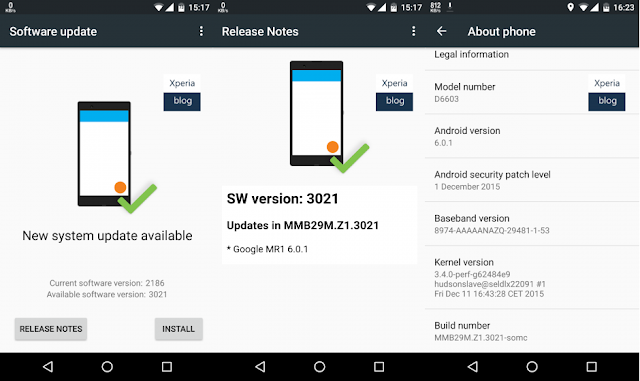 Sony has released Android 6.0.1 Marshmallow Update for the users who are running Concept firmware for Android Beta trial . The update is only available for Xperia Z3 and Z3 compact . The update is rolling via ota for users who are running Concept firmware . Android 6.0.1 Comes with many changes and fixes over Android 6.0 Marshmallow .